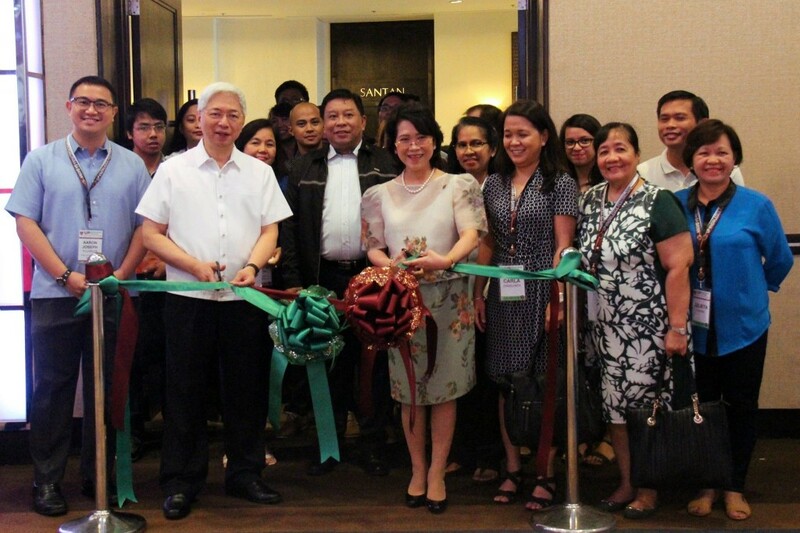 Held from April 17 to 19 at Taal Vista Hotel in Tagaytay, the gathering dubbed “Utak at Puso para sa Bayan” brought together scientists and artists, researchers and creators, to forge stronger collaborations and mutual learning and sharing. “The theme is only appropriate because it is only through the marriage between the two that we can harness the full potential of our research and creative work,” says the president. Assistant Vice President for Academic Affairs Carla Dimalanta, who was the overall coordinator of the conference and exhibit, said that the first-time gathering was meant to make more people aware of our works in the university. 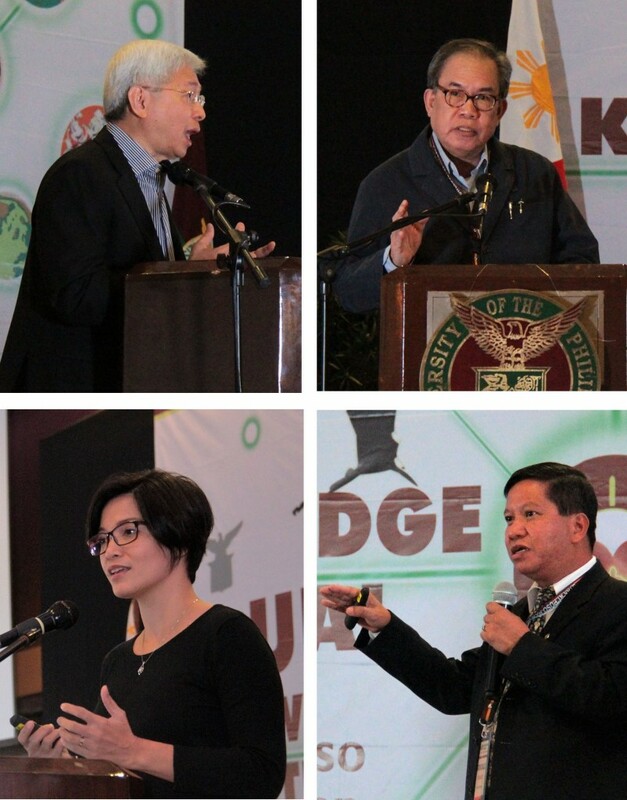 Plenary speakers included respected scholars and practitioners Dr. Jose Dalisay Jr. of the Institute of Creative Writing, Dr. Clarissa David of the UP Diliman College of Mass Communication, and Dr. Gonzalo Serafica of Xylos Corporation. President Pascual joined them for the open forum which was moderated by Assistant Vice President for Academic Affairs Alyssa Peleo-Alampay. Two panel discussions were also organized. The first, which centered on enabling knowledge creation and innovation in the country, included Dr. David Hall of USAID STRIDE, Karen Ann Hipol of the Newton Fund, Atty. Peter Calimag of the UP Technology Transfer and Business Development Office (TTBDO), Dr. Arnel Salvador of the National Institute of Physics, and Vice President for Academic Affairs Gisela Concepcion. It was moderated by Assistant Vice President for Academic Affairs Rhodora Azanza. Presented in a talk show format, the second panel discussion focused on innovation through collaboration across disciplines. The discussants were Dr. Henry Ramos of the National Institute of Physics, Rina Malonzo and Trina dela Rama of PortfolioMNL.com, Jet Angeles of Ionics ESM, Grace Vera Cruz of Seawood Resources Inc., and Maribel Garcia of the Mind Museum. Dr. Elena Pernia of the UP Diliman College of Mass Communication and Dr. Luis Sison of the TTBDO were the segment’s energetic moderators. Held on the last day was a roundtable with media. President Pascual started the discussion with the gist of the UP “think piece” on developing human capital through higher level education. The same paper handed to the five presidential candidates before the UP Cebu debate in February this year, it puts forth the university’s stance on what ought to be prioritized by the next elected leader of the country. In particular, it argues for massive investments in knowledge capital as the means to sustainable development and inclusive growth. The roundtable included Dr. Dalisay Jr., Dr. Ernesto Pernia of the School of Economics, Dr. Randolf David of the Philippine Daily Inquirer, Jose Roberto Alampay of Busines World/Interaksyon, Rosario Garcellano of the Philippine Daily Inquirer, Lourd Ernest de Veyra of TV5 and Joselito Yabut of the Kapisanan ng mga Brodkaster ng Pilipinas. The other speakers were Atty. Arnel Casanova of the Philippines Bases Conversion and Development Authority who talked about the UP Clark Green City as a knowledge center and UP Faculty Regent Philip Ian Padilla who elaborated on the multidisciplinary approach to health emergency planning in the aftermath of Typhoon Yolanda. Assistant Vice President for Academic Affairs Mary Delia Tomacruz led the Q&A with Atty. Casanova. 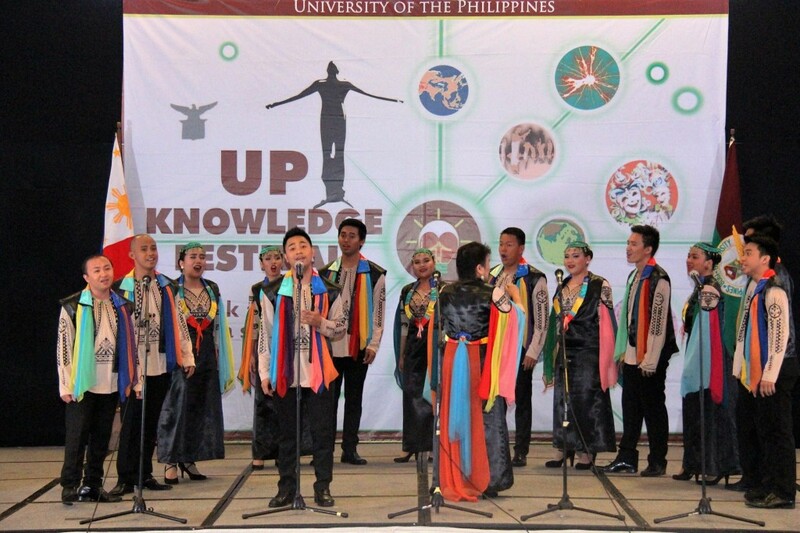 On the evening of Day 2, the audience delighted in the performances of the UP Dance Company, UP Concert Chorus and first Gawad Pangulo Choral Competition grand winner UP Los Banos Makiling Chamber of Singers. The last day saw the formal opening of the grand exhibit that showcased 93 past and present projects in education, health and wellness, food and agri-/aquaculture, climate change, energy and the environment, and nanotechnology. Offices under the UP System likewise mounted 16 other exhibits. Cash prizes were awarded for the best booths. In her closing remarks, Vice President Concepcion touched on the practical benefits of collaboration, and how it not only “broadens, deepens and enriches the results of scientific and creative endeavors” but also helps in professional and personal growth. She remarked that what we aim for in UP is an offering of the self, which is only possible when we give both the mind and the heart. Prof. Dalisay, who was given the floor to speak on behalf of the artists, yet again challenged the audience, this time to appreciate art not only from the business side but because it is art. 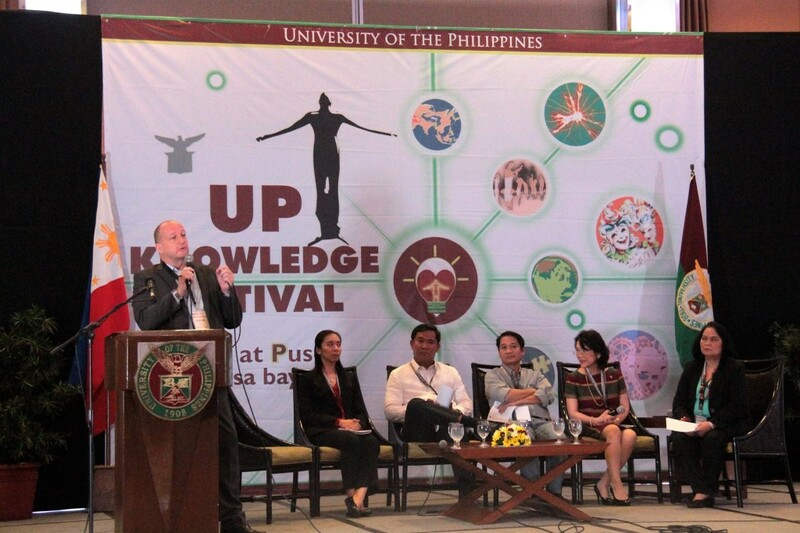 The UP Knowledge Festival was organized by the Office of the Vice President for Academic Affairs in coordination with the Office of the President, UP Diliman College of Mass Communication and College of Fine Arts, and the UP Open University.